Mota Metcon/Max/Mojo Savage Boots + Custom SK8CRE8 Boss Plate Combo Factory Direct! 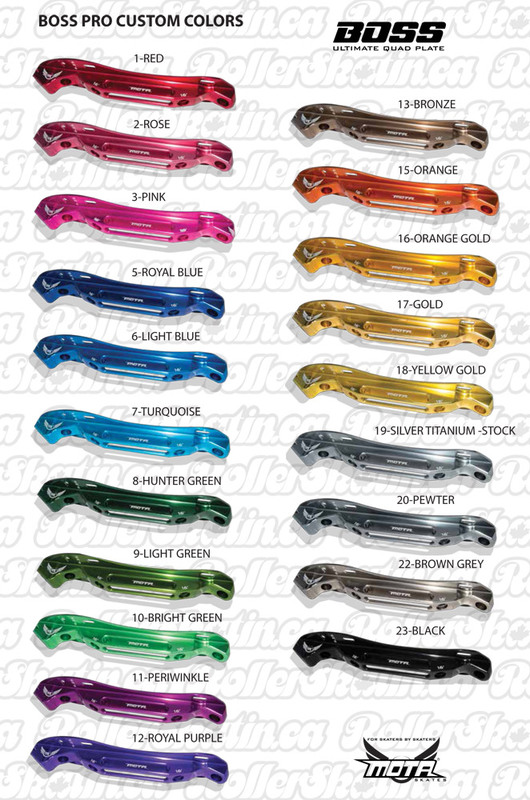 Show off your stock black SAVAGE MOTA boots in style with SK8CRE8 Custom colour plate and truck options! MOTA SAVAGE BOOTS - Mojo, Metcon Or Max! 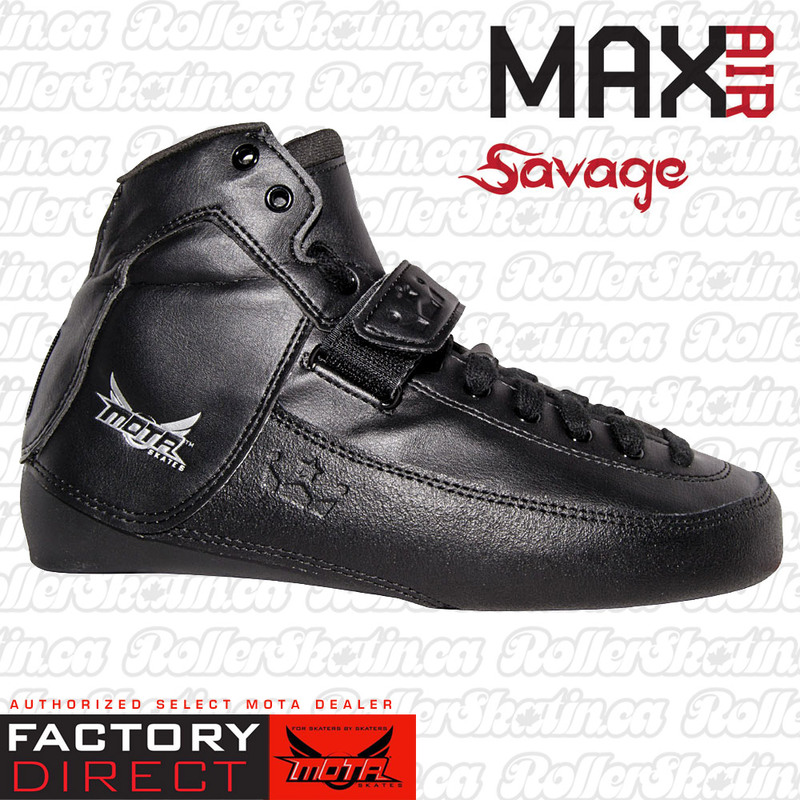 Mota Skates new flagship boot model – SAVAGE disrupts everything you thought you knew about Price/Quality perception! Mota designed, developed and manufactured Savage to be one of the most elite boots on the market today and for years to come – AND at a significantly lower pricepoint than other performance boots in this category! Mota was already one of the top carbon/composite boot companies in the world, and realized through the development of hand layup (carbon, Kevlar, fiberglass) that nylon quad shells, with proper design could outperform carbon boots! 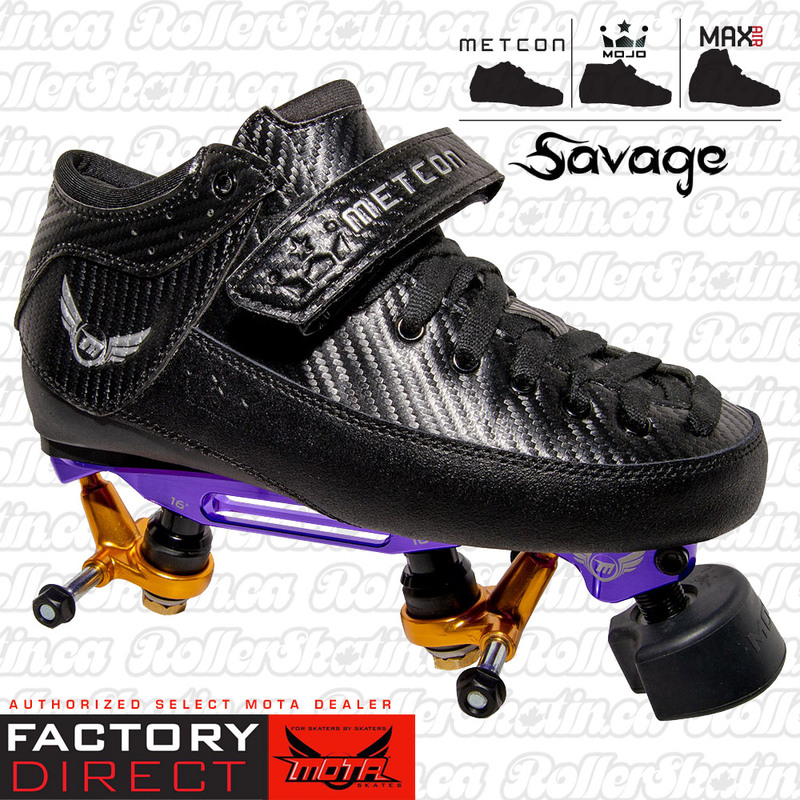 The Savage utilizes a nylon composite shell which encapsulates the foot, VERY similar and lightweight like Carbon, BUT MORE responsive, MORE comfortable, WITH Flex-Fit counters – adjustable heel counter adjusts to narrow or wide feet…Most importantly they perform better than carbon for most skaters AND AT LESS COST! - Custom printed straps with name/number/etc. • 7075 Alloy base plate to prevent twisting or flexing which causes kingpin and tuck issues/breaking. 7075 gives better response and control. • We lowered the center of our axles by 5 MM, this raises your center of gravity, providing additional leverage for better maneuverability and more power. • Cast bushing, like a high quality wheel we made bushings of the same way. Cast bushing have ultimate return and will not split. 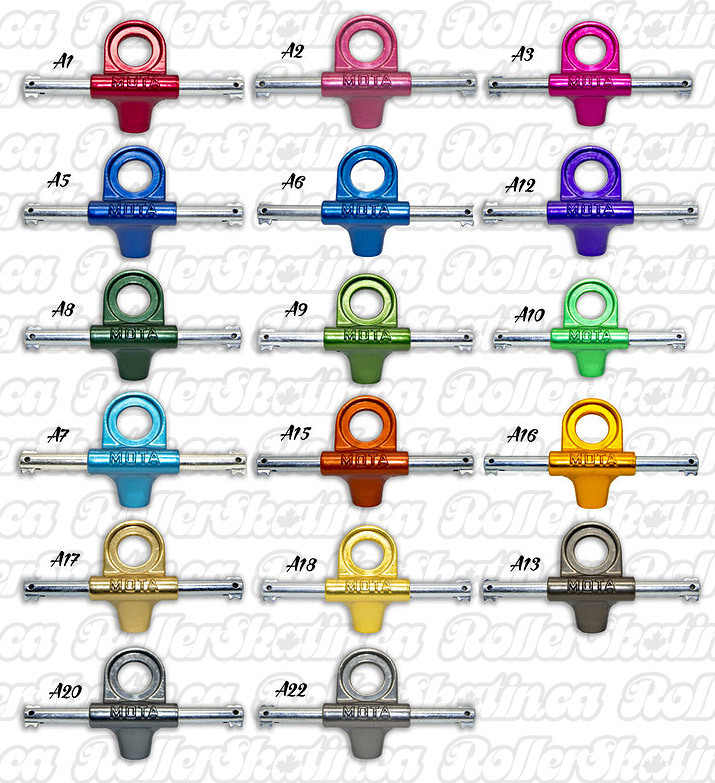 Key is your bushings return to their original position with every push. 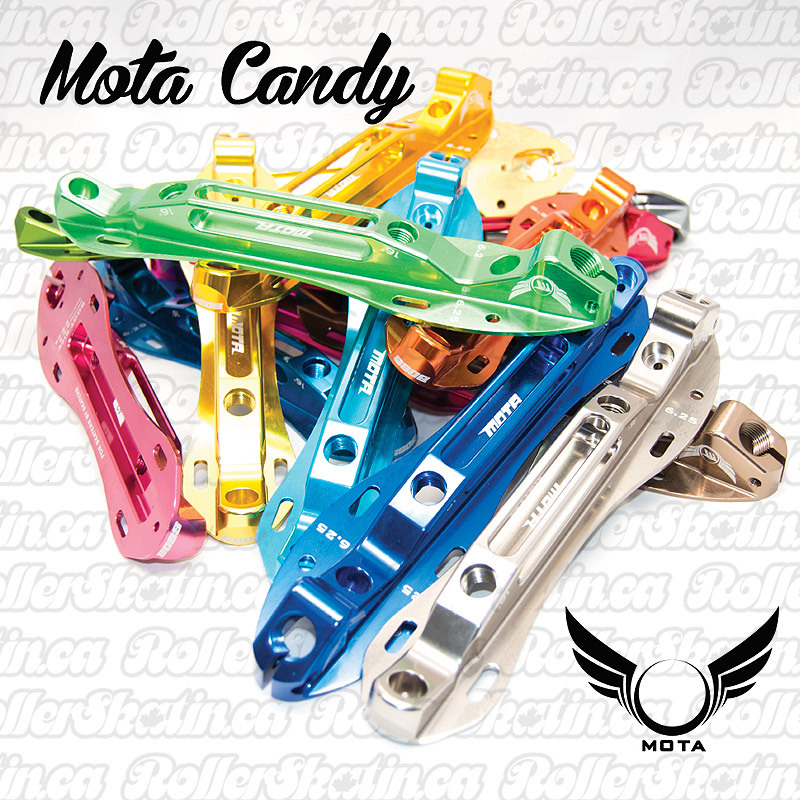 MOTA BOSS PRO Full Custom Quad Plate Factory Direct! 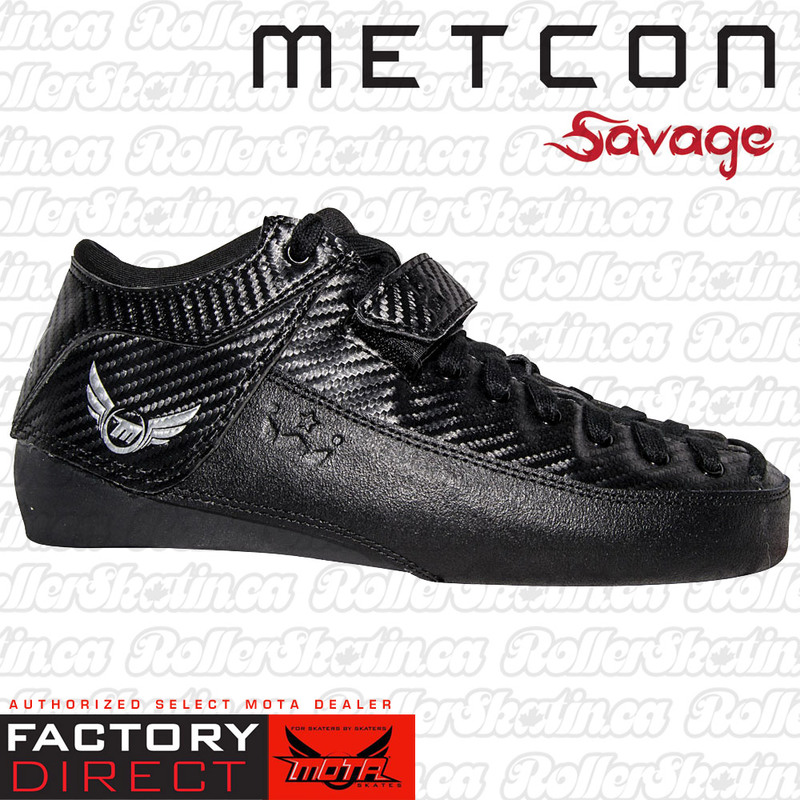 Mota METCON SAVAGE Boot Factory Direct! Mota Mojo SK8CRE8 Custom Carbon Boot Factory Direct!